Opening concerts, Welcome to Country, Bush Dance, concerts and session. 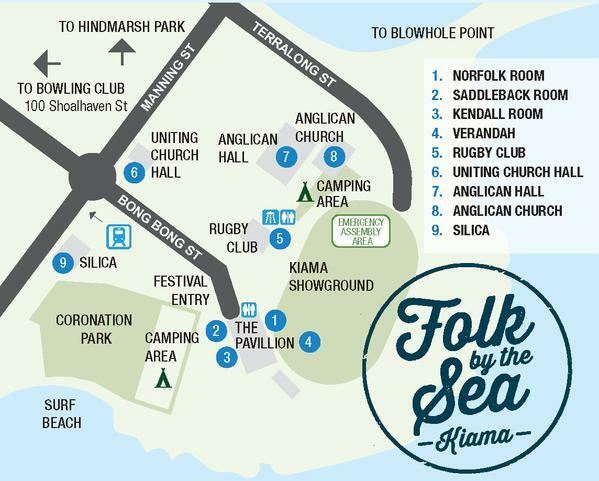 The dances will be held in the Uniting Church Hall and the concert venues will be at the Kiama Showground Pavilion and Rugby Clubhouse. Concerts, spoken word events, workshops. dances and sessions in 6 venues at the Kiama Showground Pavilion, Rugby Club, Anglican Church Hall and Uniting Church Hall. 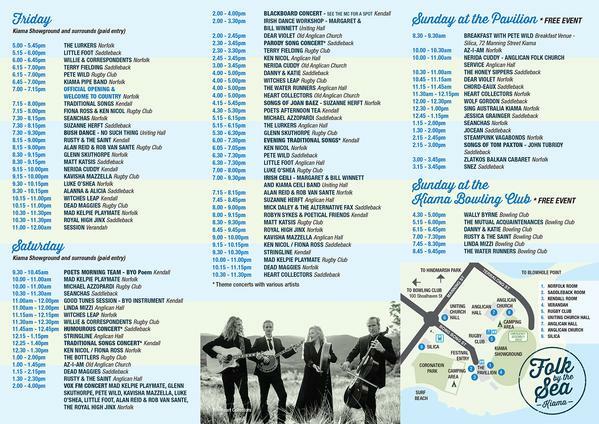 Free Folk Concert at Kiama Pavillion from 10am to 4pm. Final concert in Kiama Bowling Club from 4.30pm to 10pm.